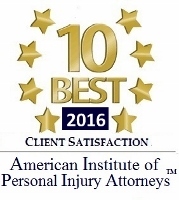 We enjoy countless referrals from attorneys from all over Michigan as well as many other states. We greatly appreciate the continuing trust that these referrals demonstrate in our firm’s ability to handle clients’ needs and obtain significant recoveries. If you have a case that you would like to discuss, feel free to contact us. We are more than happy to talk with you and your client, review the case, and explore fee-sharing agreements and the possibility of assuming joint responsibility for the case.